The season will begin on March 30th. Our field is located behind the Children’s Hospital and you can use the following address for GPS purposes 75-12 Commonwealth Blvd Queens, NY 11426. If you prefer step by step instruction you can go to our website by clicking on Field Directions and follow the directions there. 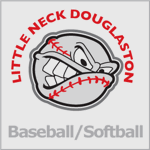 Practice time and days for each age group will be posted on our website by Wednesday night and they should be visible by Thursday morning. To access it please click on this link Practice Schedule. Game schedule can be accessed by clicking on Game Schedules. Click on the tabs on the page for the correct age group for your player. Our Pre-Developmental Program is set to start the second week in April. If you already submitted the form or plan to, you will receive an email from us by the end of the week. To fill out and submit he form please go tour PDP website. This is offered to players born in 2010, 2011 and 2012 at the moment. All players must have the following equipment for games and practice, shin guards, cleats and a bring an appropriately sized soccer ball. These can be purchased at Models. Here is a 15% coupon for you to use and the club will get 5% on the purchase you make. All Peewee players should use a size 3 ball and all other divisions can use a size 4 ball. An intramural uniform is also required, and it can be picked up at our club house on Wednesdays. The club house is open only on this day from 7PM to 9 PM. The address to the club house is 248-09 Union Tpke., Bellerose, NY 11426 and the Phone number is 718 347-4744 in case you want to call before you head over. Please feel free and reach out to us with any questions or if you want to volunteer.